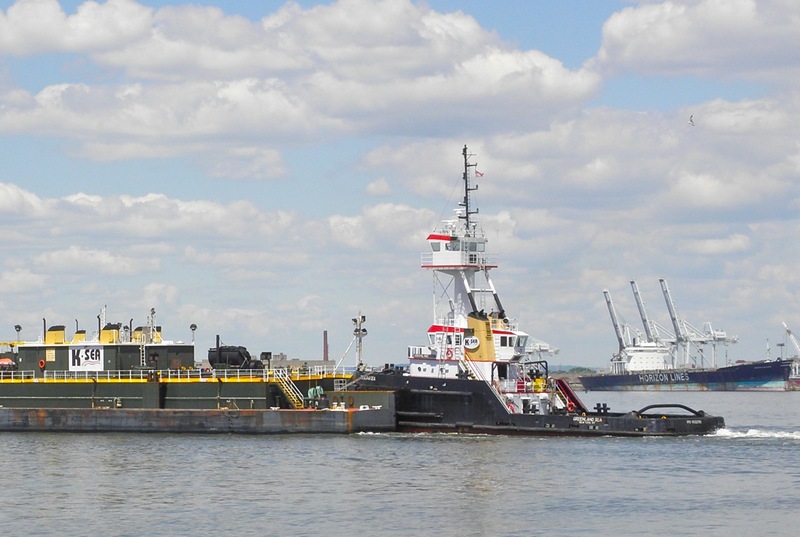 Imagine a tugboat with a bowsprit, at least some of the time? See the link at the end. Susan Miller (1981, ex-Uncle Ned) in the Bronx River. 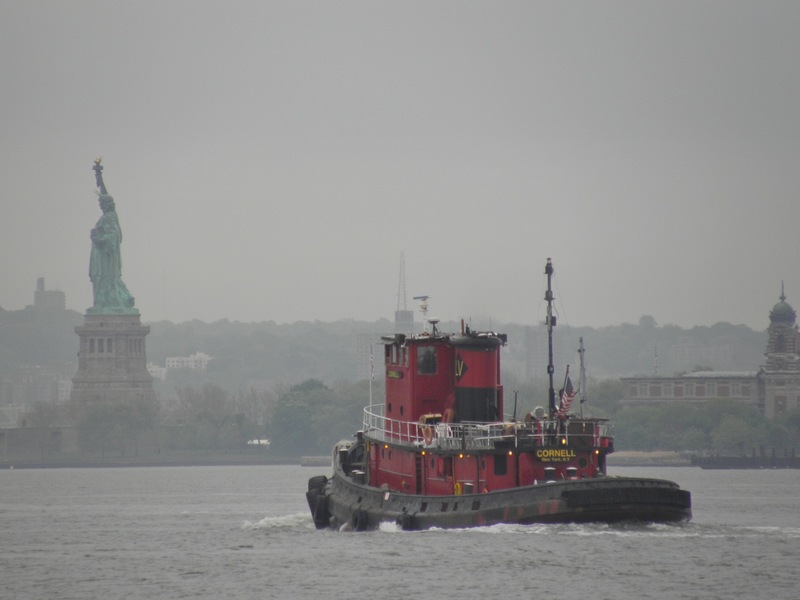 Speaking of the Bronx River, here’s its namesake tug and some info on doings in the Bronx River this summer. By the way, you saw Bronx nearly lost in the lush bow pudding of Cornell here last September… scroll through a bit. 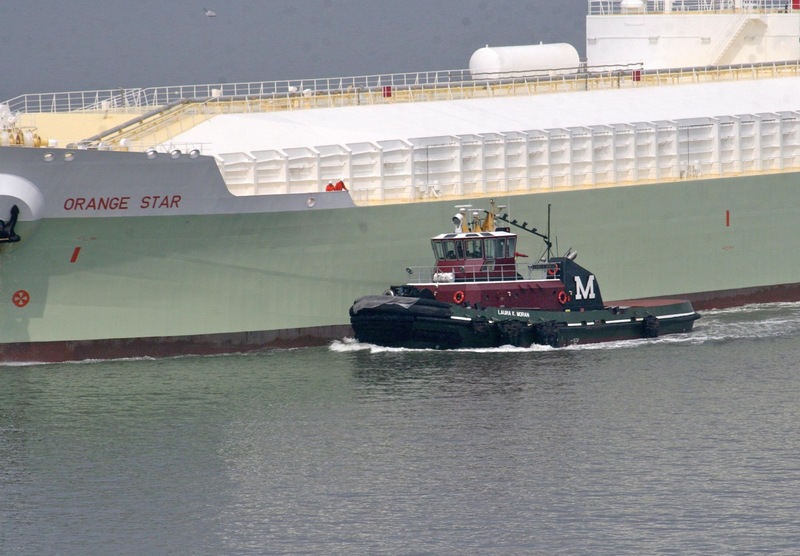 From John Watson, the newer (Feb 2011) and bigger (630′) orange juice tanker Orange Stararrives escorted by Laura K. Moran. A distant sound like a train whistle Saturday morning . . . that was the aforementioned Cornell. A school of Vane boats (l. to r. Elk River, Pataspsco, and Quantico Creek) get their stern-parts bathed by the oracle waters Gowanus Canal. 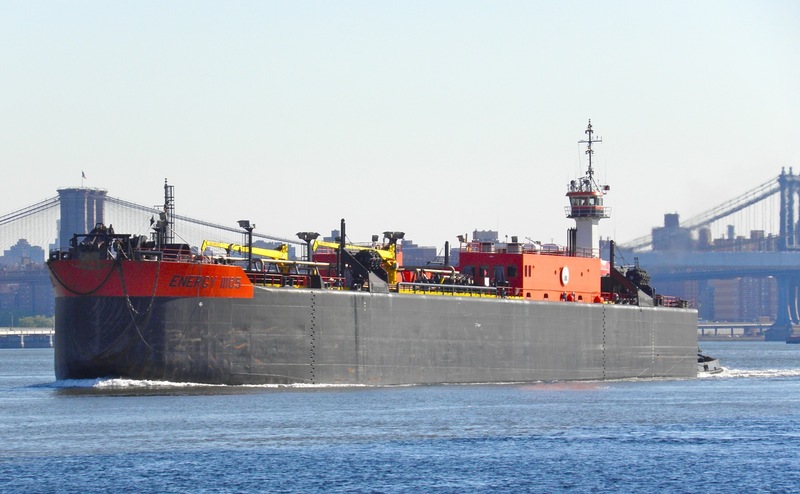 Eagle Service, fairly fresh off the Great Lakes, heads into KVK about a week ago. 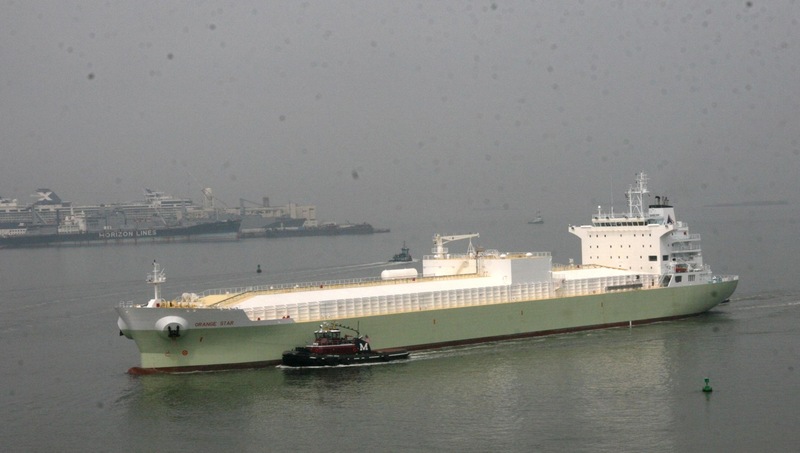 Like Eagle Service, Greenland Sea was originally built as a Bollinger-built Candies boat. . . Grant Candies (November 1996) and Doc Candies (December 1990). 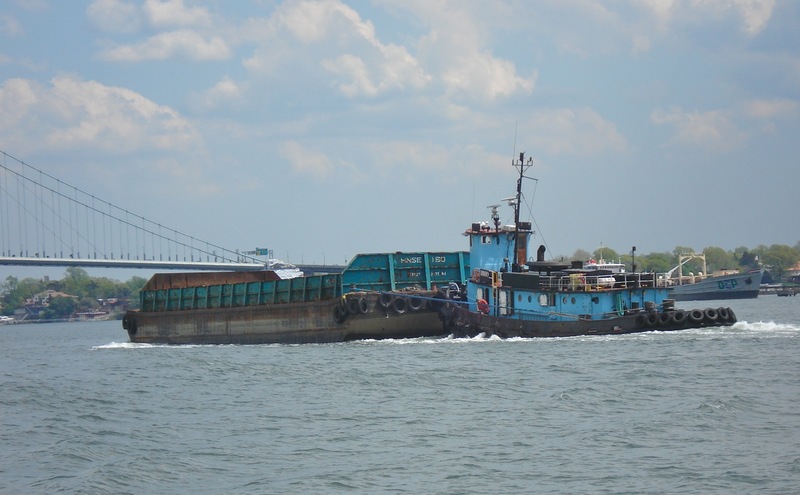 Another Hornbeck boat, Freedom Service (1983) heads into the Buttermilk from the East River. Buchanan 12 (1972) heads into the East River. See her light here. Thanks to Robert and John for sharing their fotos. Unrelated: Here are some fotos from the Seattle Maritime Festival, tug race and more, from yesterday. Wish I’d been able to go. Here and here are some Seattle water fotos I took last summer. 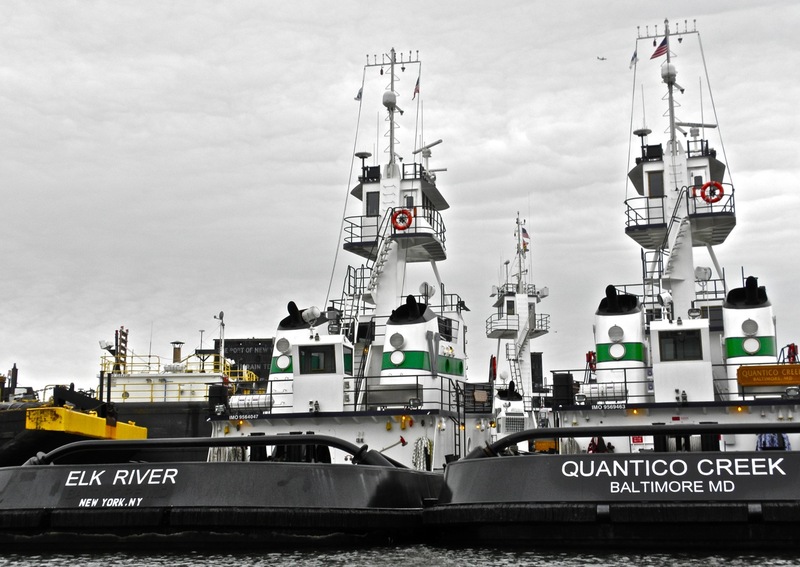 For updates on Coot, the tug in W. O. Decker colors, click here. 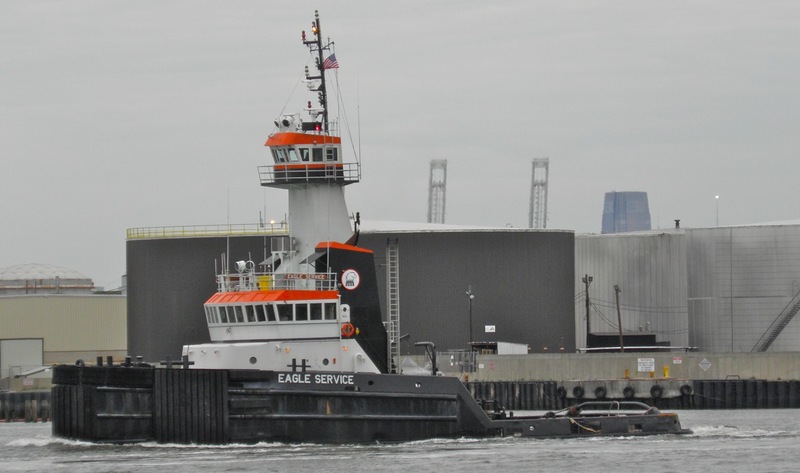 Scrolling through you’ll also find some great tugboat names as well as the hull–high and dry–of a supertug under construction. Also unrelated but . . a two-minute video honoring WW2 vets. Watch it all, please. 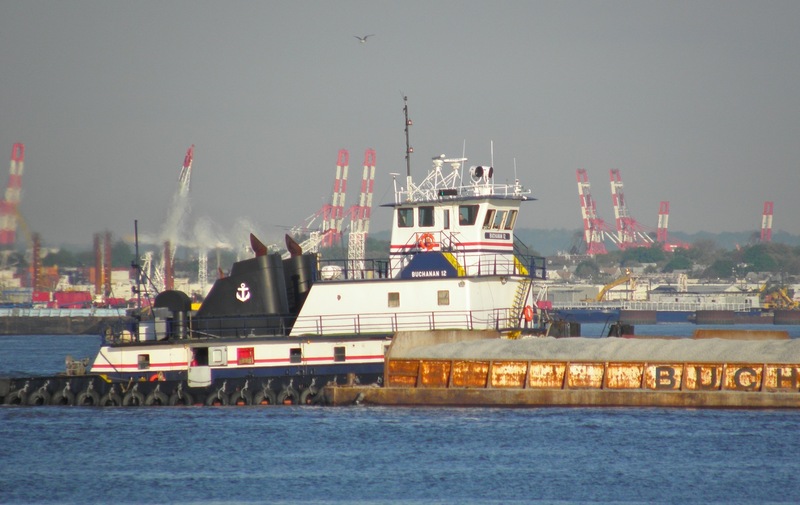 Anna Frater is the bowspritted tugboat; click here to see it. 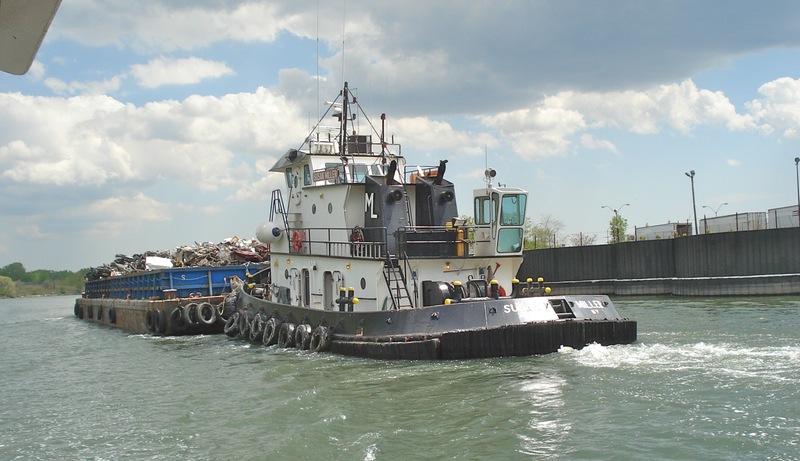 It’s not the first such tug to appear here: check out this tugantine from 2008.